A crackin' good Killing Eve 2.2 - I had to use that phrase at least once in my review of this series, so it might as well be now - in which Eve and Villanelle draw ever closer in England, with Eve, nearly choked out in a car passing Eve on the street, but Eve doesn't see Villanelle - so it's ever closer but not yet actually meeting. Now the guy who is driving the car, and subdues Villanelle, is her new handler - or, from our perspective, her bad guy boss - who knew where she was because she had placed a call to MI6, desperate to escape the urbane psycho's house who was also batting her around. So this tells us: MI6 is infested with spies. Which is true to life, given what happened to MI6 in real history during and after World War II, with Kim Philby and all. Question: Is Killing Eve offering an accurate portrayal of MI6 today? That is, is MI6 infested with Russian agents? I wouldn't know, but that seems a not unreasonable proposition. Anyway, the new handler has a job for Villanelle, but she and we don't yet know what it is. 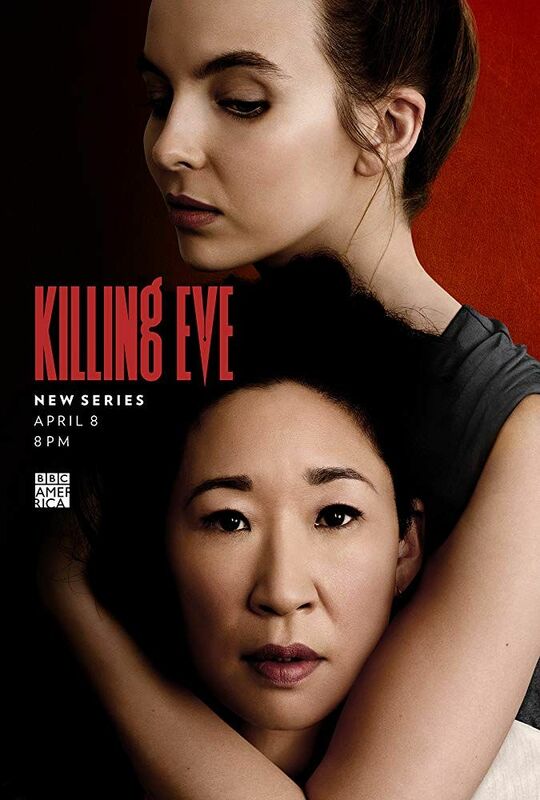 It may well be killing Eve, though that would be a little too pat and cutesy given the title of the series. Eve, for her part, has deduced all kinds of things, as is her wont, including that Villanelle will be jealous of the new assassin, who likes to work under the radar, as, in tonight's episode, a cleaning lady. At this point, we have a story of Villanelle, still weakened by Eve's stabbing, as much the victim as the aggressor in her interactions, but still able to kill when necessary, versus Eve, who seems no longer tormented by stabbing and almost killing Villanelle. That's a pretty good match, and I'll be back next week with a report on the next round. Er... no... You missed something. Before calling MI6, Villanelle called her organisation's help service secret number who rejected her, only in order not to be heard by the Police. That's why they pretended not to know her, for security. But they did come to rescue her. I found this second episode not very good. Not bad, but disappointing. Not the level of season 1.